Looking for a great way to maintain your energy throughout the day? These vegan, energy-boosting cookie dough bites are the answer. 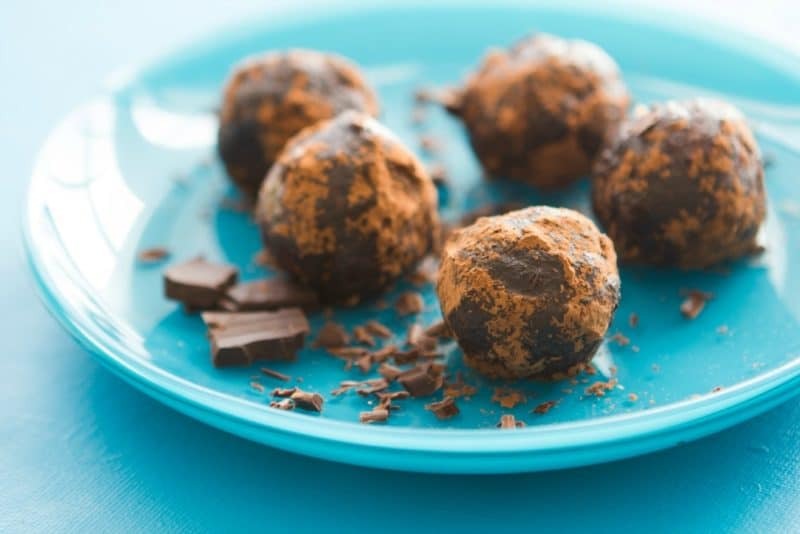 Chock full of raw, plant-based ingredients and packed with plant-based nutrition, this cookie dough bites recipe is perfect for every kind of diet—raw, paleo, vegan, vegetarian, and gluten-free. Similar in taste and texture to a Larabar, but rolled into two-bite truffles and packing far more protein than your average Larabar (thanks to the addition of raw nut butter and hemp seeds), these energy-boosting cookie dough bites are great for toting to work, for packing in kids school lunches, and even make a great healthy travel snack. Best of all? They keep in the fridge for up to 3 weeks so you can make a big batch and enjoy them throughout the month! 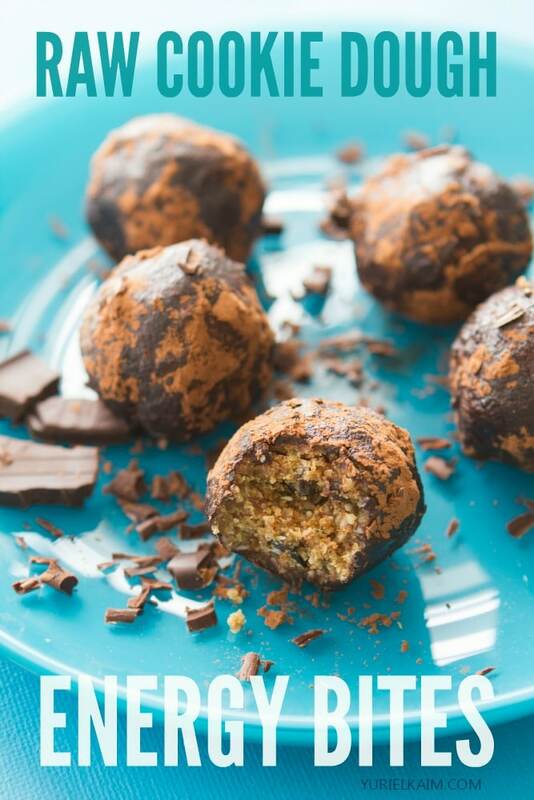 Sweet enough to satisfy your dessert craving, I think you’re really going to like the recipe for these energy bites. It’ll convince you that sweet treats don’t have to be unhealthy. Hemp Seeds. With a 3:1 Omega-3/Omega-6 ratio, hemp seeds offer all the right kinds of beneficial fat. A “perfect protein” they contain all 20 amino acids, including the 9 essential amino acids. One tablespoon provides 5.3 grams of protein. Raw Almond Butter. Boasted 7 grams of protein in just 2 tablespoons, raw almonds are also packed with a potent combination of energy-boosting nutrients like vitamin B2, Vitamin E, Manganese, and Magnesium. Coconut. An excellent source of medium-chain triglycerides (MCT’s), coconuts offer a source of energy which goes straight to the liver from the gut, where they can be used as a quick energy source. Cacao Nibs. Even better for you than dark chocolate, cacao nibs don’t just provide vital nutrients, they actually boost your mood. Compounds in raw cacao interact with your neurotransmitters, encouraging the sensation of euphoria. To enjoy all of these benefits in just one of these energy-boosting cookie dough bites, you’re going to need a food processor or hi-speed blender (like a Vitamix or Blendtec). Then grab the recipe below to have a batch ready in 10 minutes or less. Enjoy! Make your own healthy cookie dough bites with this simple recipe. 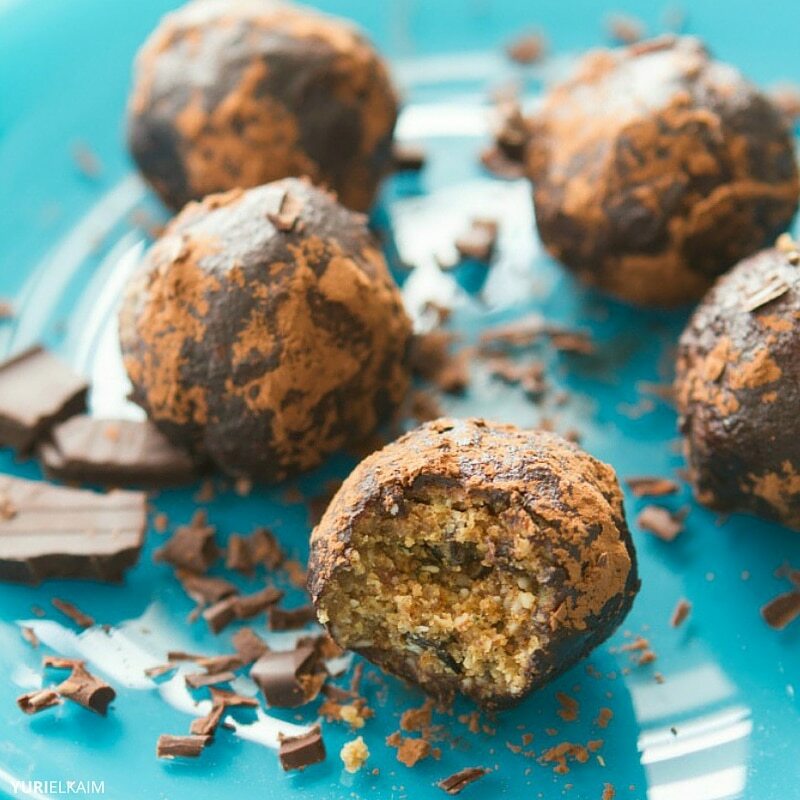 Full of nourishing, raw, plant-based ingredients, these made a great healthy grab-and-go snack. In a food processor or hi-speed blender, pulse together almond butter, hemp hearts, coconut flakes, dates, and vanilla until a thick dough forms. Fold in chocolate cacao nibs. Dust with cacao powder. Store energy bites in fridge. Enjoy within 3 weeks.